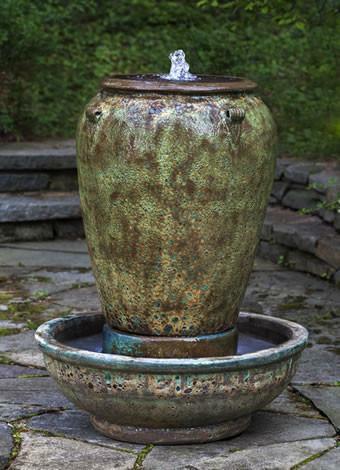 Birdsall & Co. carries the highest quality glazed fountains available, in all shapes, sizes, and styles. 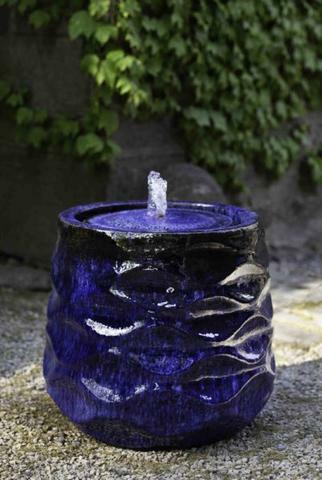 Come find the perfect fountain for your space! 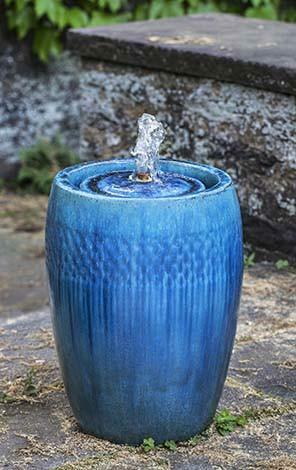 These glazed fountains are handmade in small factories in Vietnam and China. A selection of these fountains is sold as a kit, including the basin from which to draw water. Others can be placed on above-ground fiberglass basins, either square or round, or on top of in-ground basins (not pictured here). These fountains and their basins must be emptied and covered, or removed and stored inside, before the first hard freeze. If water is trapped inside or around the base of the glazed fountains, the freeze and thaw cycle may damage the product. Read more about care and maintenance.